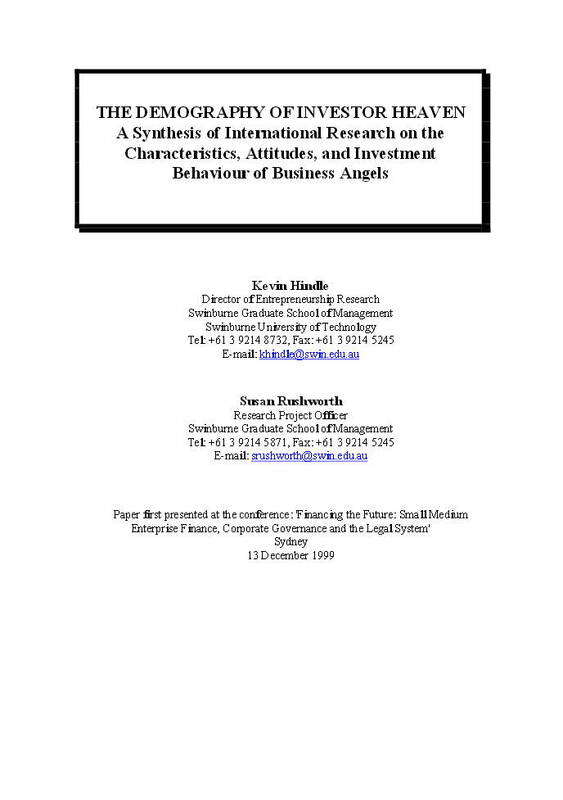 The purpose of the study reported in this paper was to compile and compare the findings of all robust international research providing national profiles of angel investors (informal venture capitalists). Units of analysis comprised all research articles published in refereed, English-language, scholarly journals as at December 1999. The endeavour was to collect and examine a census of published national angel profiles as at this date but scholarship is accelerating so rapidly that it is impossible to claim that all relevant articles have been included. In no way can this study be described as a ‘meta-analysis’ it is, more humbly, a mere list. A formal, quantitative meta analysis of contemporary scholarship on national angel profiles is not possible. The data do not permit it due to incompatibility of sampling methodologies among researchers, the generally small sample sizes they employ and the exploratory nature of their work. 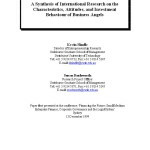 Posted in Angel Investment, Asia Pacific, Business Intelligence, Federal, Innovation and tagged angel investors, contemporary scholarship, informal venture capitalists, international research, international studies, meta-analysis, national profiles, relevant articles, sampling methodologies, scholarship.